Recently someone in the Cranberry Tea Time community asked me about IV fluids, how I get them, and how they help me. I responded to her email, but I thought that some of you might be interested in this information too. Today I would like to share about how IV fluids help me and the different ways I have received them. If you have dysautonomia or a chronic illness, this information might be interesting and helpful for you. If you don't, then this might be a very boring post! 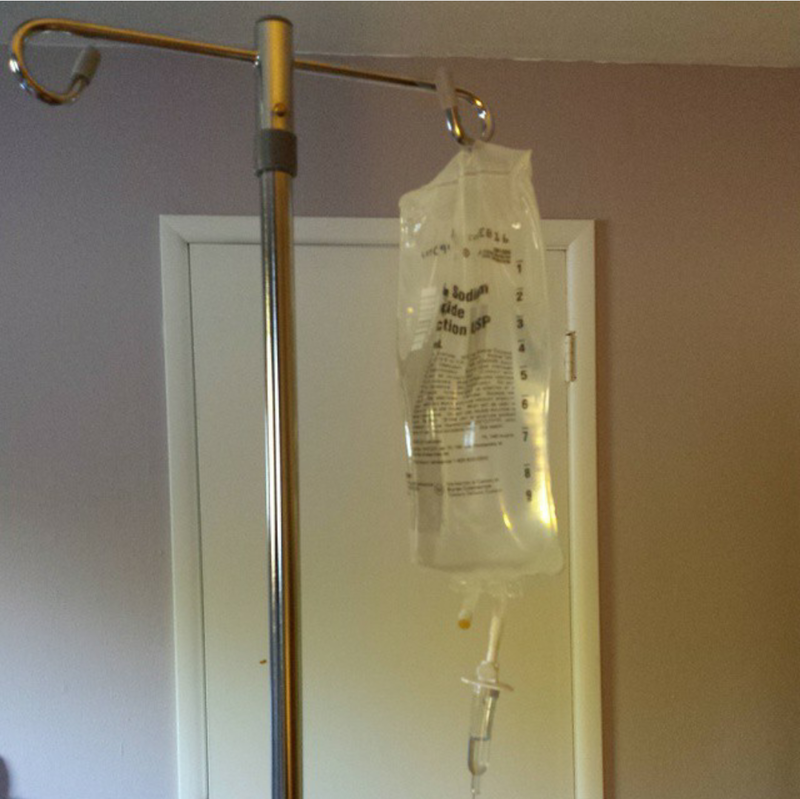 Intravenous fluids have been one of the most helpful treatments for me. In addition to helping me to stay hydrated, IV fluids help to raise my blood pressure and lower my heart rate. They give me an overall “boost” that helps me to feel better. It’s hard to explain, but they help a lot! For two days after receiving a liter of IV fluids I am able to sit up longer, think more clearly, and have more energy. This enables me to do more, which enables me to gain more strength and endurance. I first started getting IV fluids in 2010. A nurse came to my home three times a week to start a peripheral IV line, and we did this for about 10 months. There were times that I needed to travel, and of course I couldn't take my home health nurse with me, so my husband was trained to start IVs. Will has started numerous IVs for me when travelling or when nurses weren’t able to make it to my home due to road conditions or illness. I took a break from regular IVs for a few years. My veins were starting to get too much scar tissue build up, and it was getting harder to get a line started in my hands. I was given the option of a port or a picc, but I declined it. I want to wait on that as long as I can because of the extra risk of infection. I also think that it would make sleeping harder. I don't sleep well as it is, and I think that trying to sleep with a port or a picc would make it even more difficult. In the past few years I have gone to the hospital for IVs as needed. We don't have an infusion clinic nearby, so the easiest option was to go to the hospital and get an IV as an outpatient. Although this was helpful, the extra physical exertion required to get to the hospital, especially on very hot or cold days, partially diminished the benefit of the IV fluids. In August of 2014 I started having IVs in my home again. A home health nurse came once a week for many months. My health continued to decline, even with the weekly IVs, so in the winter of 2015 my home health nurse requested IV fluids twice a week for me, and my doctor approved the request. IV fluids were crucial in helping me to make it through The Great Adventure in April of 2015. In June I weaned off the bi-weekly IV fluids. IVs are helpful, but also time consuming, painful, and risky long-term, so I wanted to go without them if at all possible. I put off the regular IVs for as long as I could, but last month my doctor put me back on weekly IV fluids. I am recovering very slowly from last summer, and we are hoping that the IV fluids will help me to recover more quickly and regain some strength. I don’t know how long I will be on the IV fluids this time. We will just have to wait and see how much improvement comes. I hope that I will eventually be able to wean back off of them, but as my body continues to grow more tired, it is becoming harder to function without IV fluids. I recently found these oral rehydration salts, and I try to drink a liter of this every day. It is not as helpful for me as a liter of IV saline, but it seems to help me more than Gatorade does. 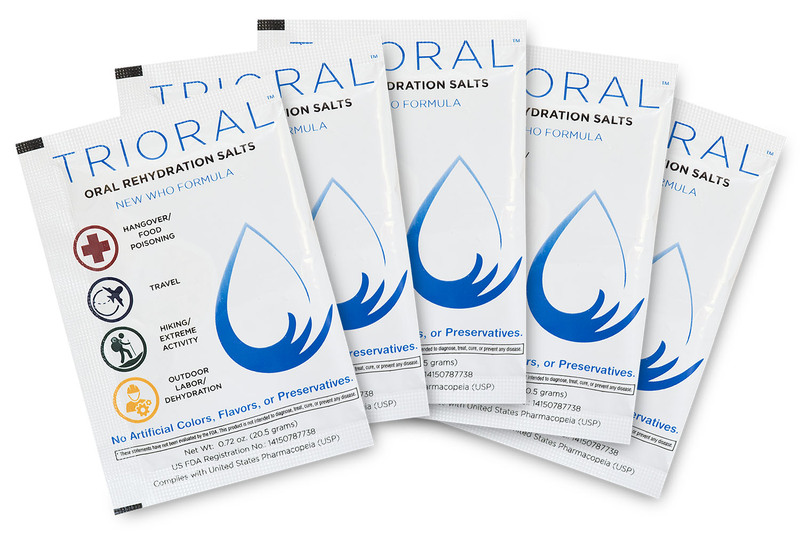 These Oral Rehydration Salts use the new WHO recommended formula, and some doctors recommend them for their dysautonomia patients. In my opinion, the flavor of water with Trioral oral rehydration salts is pretty awful. It is hard to drink! To make it more palatable, I add 1/4 cup of lemon juice and 1/4 cup of stevia to each liter of water with the Trioral. Medical Disclaimer: The purpose of this blog post is to share how IV fluids have helped me personally. It is not intended as medical advice.